Adverline Video, Mobile, Banner advertising network details. 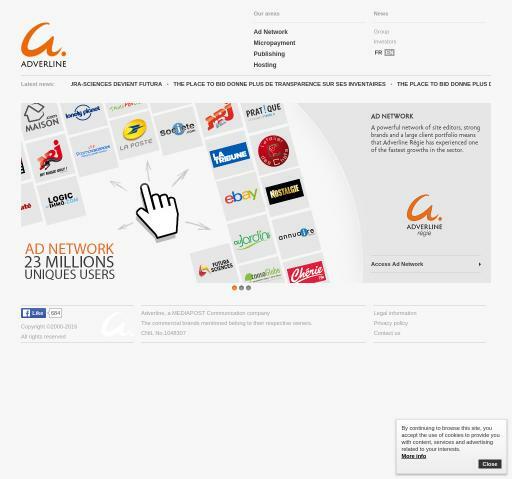 Adverline is an advertising network that connects 24 million unique users and uses the micropayment technology to monetize your website. Micropayment is a solution that makes the monetization of your content easier and optimized to your conversion rate. No matter the sector you are engaged in: online sales, media, games, classifieds, social networks or directories, Adverline will find the best solution according to your business needs. Check the reviews on Affbank about Adverline and for any details regarding their Target Audience, Pricing Models and Advertising Formats, reach the Information section.